Linda Torczon’s research interests include code generation, interprocedural dataflow analysis and optimization, and programming environments. Her published work covers subjects that include interprocedural analysis and optimization, code generation, adaptive compilation, and the design and implementation of programming environments. Two of her papers were selected for the ACM SIGPLAN publication Best of PLDI 1979-1999. See Dr. Torczon’s curriculum vitae for a complete list of publications. 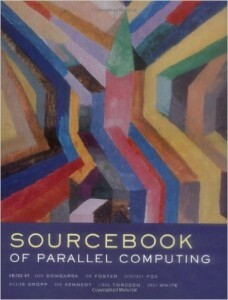 Dr. Torczon is a co-editor of Sourcebook of Parallel Computing along with her colleagues Jack Dongarra, Ian Foster, Geoffrey Fox, William Gropp, Ken Kennedy, and Andy White. Sourcebook of Parallel Computing covers parallel computing hardware, programming considerations, algorithms, software and enabling technologies, as well as several parallel application case studies. This book offers tutorials and detailed documentation of the advanced strategies developed by researchers. It is intended as a resource for computer science and application researchers and engineers, as well as for computational science and parallel computing education and training.